Montreal, one of Canada’s oldest cities, is devoting CAD $348 million to upgrading antiquated water and sewer systems in 2018. 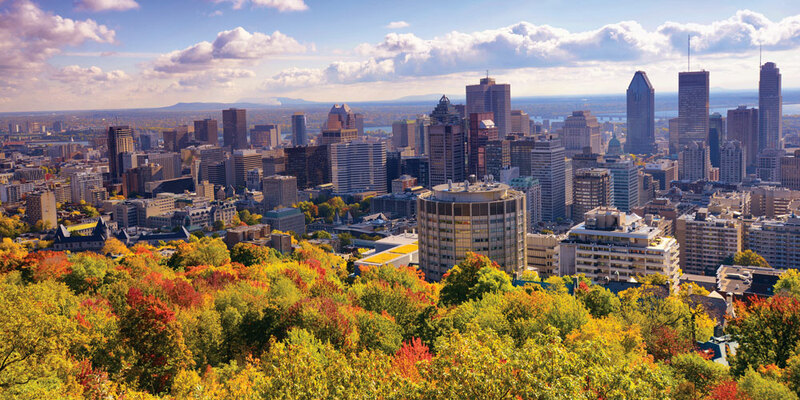 As one of Canada’s oldest cities, Montreal is looking to get an underground upgrade. In 2018 alone, the City of Montreal set aside CAD $1.1 billion to repair and update aging roads, water mains and sewers. The need for new utility infrastructure is borne out by the numbers: The average age of water mains in Montreal is 61 years—at least 20 years older than in other large Canadian cities. An average of 19 breaks occur for every 100 km of water mains in the city. Montreal has responded by stepping up replacements and new construction: In 2006 only 16 km of water mains were replaced annually, but by 2016 this had increased to 389 km. 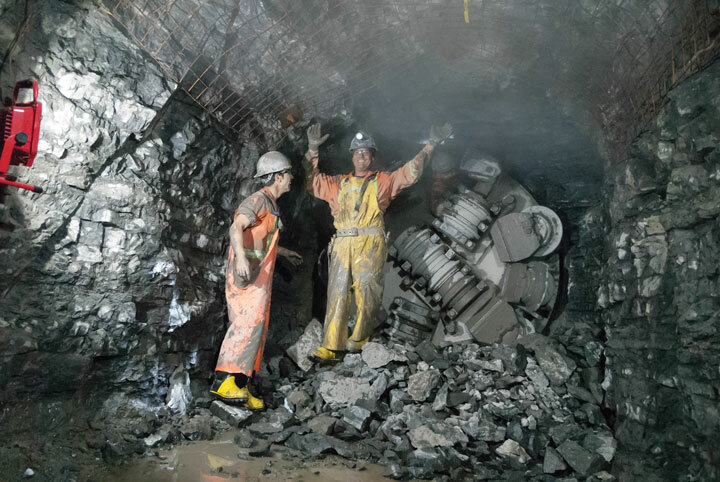 The influx of Canadian dollars is resulting in new utility tunnel construction across the city, particularly for sewer and water lines to keep up with increasing demands. Sewer systems are similarly overtaxed and aging rapidly. In total about CAD $348 million is being devoted to upgrading antiquated water and sewer systems, with a further CAD $210 million earmarked for specific projects. The influx of Canadian dollars is resulting in new utility tunnel construction across the city. 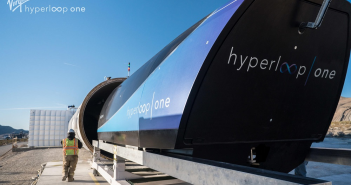 Some of these projects will be utilizing new technology for the area as well. For example, Contract A-335-4 involves the installation of a new 750 mm diameter wastewater line that will require the first-ever pipe jacking tunnel in rock below the city. The new line will require a 415-m long crossing from a valve chamber at Haut-Anjou Boulevard under Highways 40 and 25 to a valve chamber at Louis-H. La Fontaine Boulevard. Located between 6 to 8 m below the surface, the tunnel runs through limestone with possible hard intrusions, ranging in rock strength from 50 to 165 MPa UCS. Tunneling will begin in August 2018 with local contractor Nella Drilling using a small diameter (1.67 m) hard rock boring machine manufactured by The Robbins Company known as a Rockhead Gripper Shield. 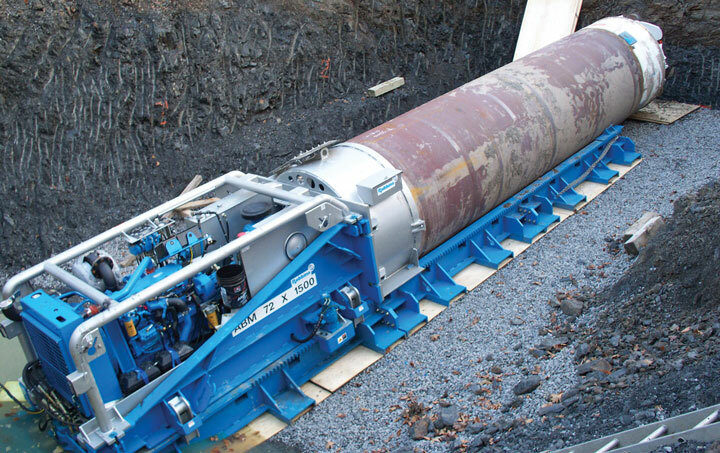 Technology such as Robbins Small Boring Units (SBUs), used in conjunction with ABMs, tackles Montreal’s limestone rock. Larger projects have also been recently completed. In November 2015, a 3.0 m diameter Robbins Double Shield TBM completed the Rosemont tunnel, a 4.0 km long tunnel through limestone bedrock. The water tunnel was designed to add a buffer into the city’s system as needed during peak seasons. The new line utilizes the modernized Rosemont Reservoir, a large structure for potable water built in 1962 but decommissioned 20 years later. 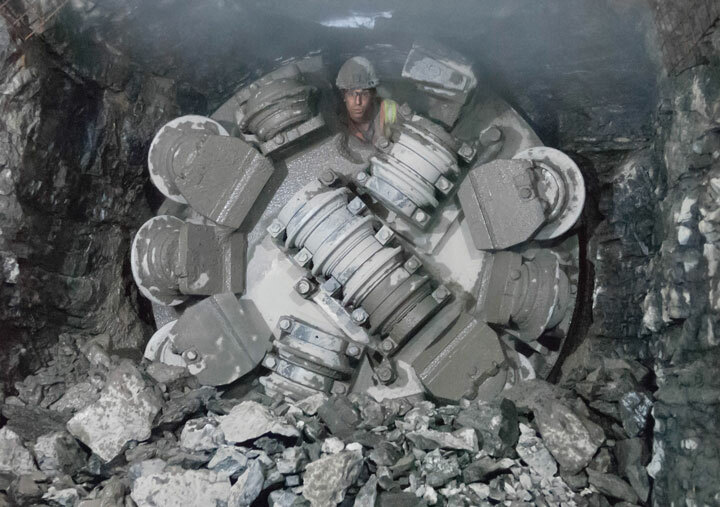 Recent tunnel projects include the 4.0 km long Rosemont water tunnel, bored using a 3.0 m diameter Robbins Double Shield TBM. Another recent new water line is the Rue Jarry Water Transmission tunnel. The City of Montreal commissioned the 4.2 km tunnel below Jarry Street and 24th Avenue following a sequence of events. Large portions of Montreal are serviced by a single water main, including an area below Pie-IX Boulevard where a pipeline break was experienced in 2002 in a line around 50 years old. Over the subsequent years multiple inspections were made of the repaired line, and it was determined that another pipeline should be built to operate in parallel with the older line. With the commissioning of the Rue Jarry Tunnel, the old pipe can be taken offline if further repairs are needed without affecting water supply. The EBC/McNally JV celebrate at the completion of Montreal’s Rue Jarry Tunnel. The crew overcame a devastating flood to finish the project on time. 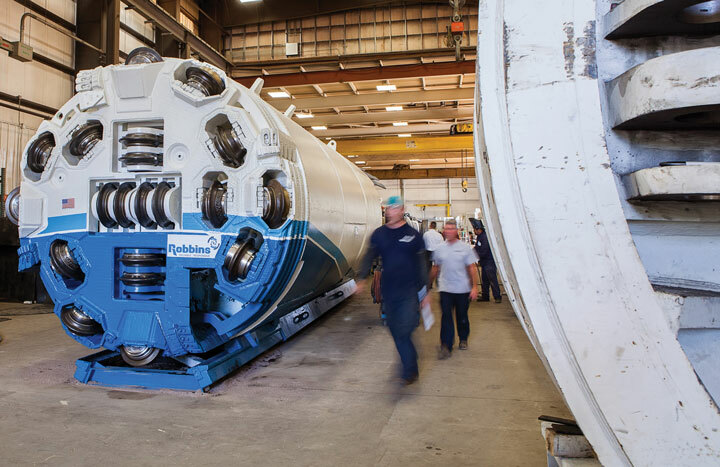 The TBM drive required just six shafts and a series of launches for the contractor EBC/McNally JV using a 2.2 m diameter Robbins Double Shield TBM. Montreal’s latest tunnel project, the 4.2 km long Rue Jarry Tunnel completed in November 2017, will be used to operate in parallel with an existing 50-year old water line. The Robbins machine was initially launched in May 2016. 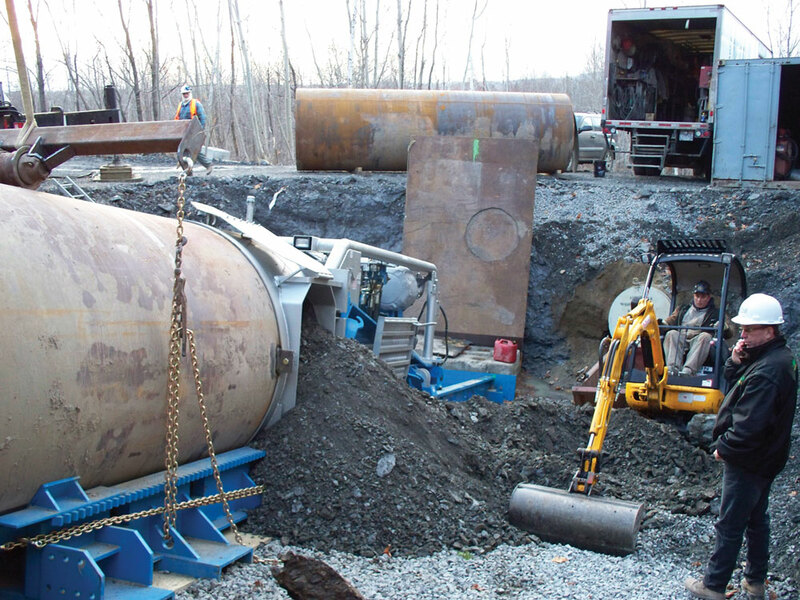 The contractor removed and reinstalled the machine on its first two drives, which were successfully bored in non-abrasive dolomite rock ranging between 150 and 200 MPa UCS. Then the machine was removed and re-launched to start at Shaft 5 in December 2016. “We were about 160 m in when our crew could hear water rushing in from the tunnel face,” said Tim Cleary, General Manager for McNally Construction Inc. “The next thing they knew there was a river flowing through the tunnel, about 20,000 liters per minute,” said Cleary. The crew was able to safely evacuate, but the same couldn’t be said for the equipment. 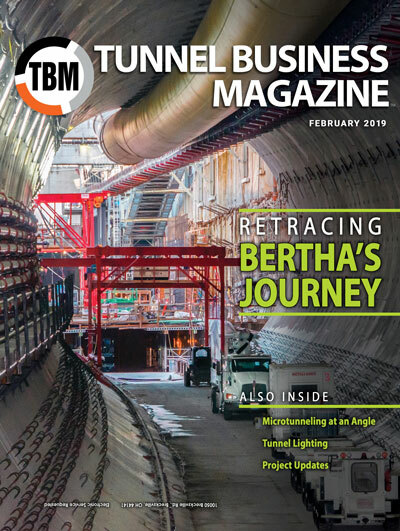 “The tunnel was filled to the springline within 40 minutes, and the 18 to 21 m deep, 6 m long x 6 m wide shaft was filled within two hours to about 3 m below the surface.” The project was halted for about six weeks while the City of Montreal conducted an investigation of the incident. For the next 150 m, McNally opted to use ribs and lagging in lieu of rock bolts and channels. “We didn’t want to hit fractures,” said Cleary. “There were no issues. We averaged 21 m per day.” Three rotating crews worked in two eight-hour shifts, seven days per week, to finish the tunnel—an increase from the previous schedule of two crews working 18-hour days, 5 days per week. For EBC, the smoothness of the operation was remarkable: “I think the Robbins machine was the equipment we needed for the job. The TBM was able to get through the conditions; we proved this. We had different rock conditions and different problems, but the job went very well overall,” said Marcoux. “Our guys worked so hard and we’re so proud of them and how we got back up to speed quickly,” said Cleary. 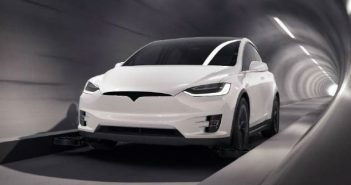 Breakthrough occurred on November 14, 2017, within the originally scheduled estimate for project completion.